The parents of a boy suffering from severe seizures have filed a lawsuit against the state of Arizona to ensure that their son will have access to medicinal cannabis oil without the risk of prosecution. Zander Welton, 5, was born with cortical dysplasia, a genetic defect that disrupts cellular patterns in the brain and is often the cause of epilepsy. 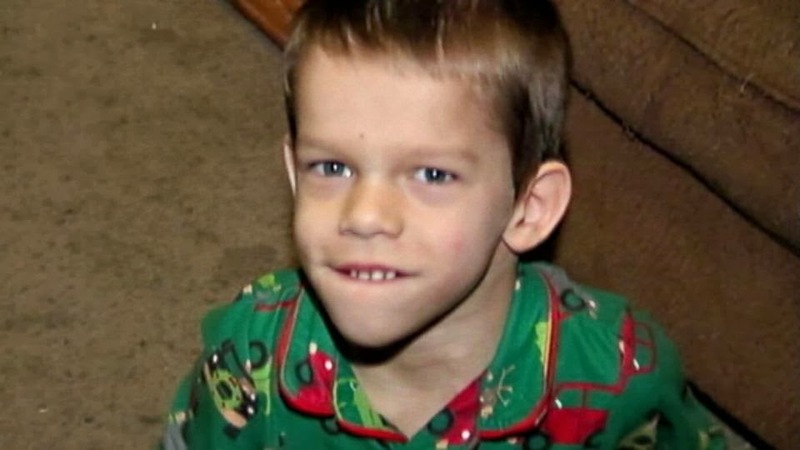 Zander is non-verbal and suffered seizures daily before his parents started giving him cannabis oil. Although Arizona allows marijuana to be used for medicinal purposes, some state officials, including the attorney for Maricopa County, where Zander Welton and his family live, and the head of the Arizona Department of Health Services have said that products with resin extracted from marijuana, such as the oil originally used to treat Zander, are actually classified as an illegal narcotic according to the state's criminal code. On Monday, Zander's parents, Jennifer and Jacob Welton, working with the ACLU, filed a lawsuit that would protect the use of marijuana extracts or products with marijuana resin for medicinal purposes. "When Arizona's voters said yes to legalizing medical marijuana for seriously ill patients in 2010, they certainly meant the plant as well as extracts from the plant," said Emma Andersson, an ACLU lawyer working with the Weltons. "After seeing not one but two brain surgeries fail to help their son, Zander's parents finally found an effective treatment in a medical marijuana extract?they don't deserve to be scared off from the best medicine available for Zander." The lawsuit names the defendants as Arizona Governor Jan Brewer, Maricopa County Attorney William Montgomery, the Arizona Department of Health Services, and the director of the Arizona Department of Health Services William Humble. Spokespeople for Bill Montgomery, the Maricopa County Attorney, Arizona Governor Jan Brewer and the Arizona Department of Health services said they had no comment on the pending lawsuit. For the Weltons, the lawsuit is a way to both effectively help their son and allow them to remain in their home state of Arizona. Jennifer Welton said they turned to medicinal marijuana as a last resort even though its effectiveness has only been proven anecdotally and not yet clinically. Prior to the treatment, the 5-year-old had received many other kinds of medication and had undergone two brain surgeries in an effort to alleviate the severity of his seizures. Doctors had removed part of his hippocampus and his left temporal lobe, but his seizures persisted. According to the Weltons, Zander's doctor said their final option to alleviate his seizures was to remove the left hemisphere of his brain. The procedure could have left him paralyzed or in a vegetative state, so they decided to try the cannabis oil option first. Zander was put on cannabidiol oil, or CBD, in September after he qualified for a medical marijuana card. There are approximately 40 minors in Arizona who qualify for a medical marijuana card. According to court documents, the Weltons noticed an improvement in Zander's symptoms after being treated with medical marijuana. Welton confirmed that after treatment Zander no longer had 8- to 10-minute seizures daily that would cause him to stop breathing and turn blue. Instead, in the seven weeks since Zander had been taking medicinal marijuana, Welton said he had only two seizures and each only lasted a few minutes and he didn't stop breathing. In addition, Zander has been able to communicate more and has started to shake his head signifying when he doesn't like something. "One of the things I said at the beginning before we started ... I just wanted to know my son a little bit," said Welton of Zander's personality changes. "We're finally getting to see that. He's finally started to come through." In October, Welton said she heard from the state-licensed marijuana dispensary that products with resin may be considered illegal and they would be uncomfortable stocking them. Welton said she did not want to do anything that could be construed as being illegal and stopped giving Zander the CBD. Zander is now currently taking medicinal marijuana in dried plant form, but Welton said it wasn't ideal and hard to effectively administer to Zander. "He does sometimes find it and then will spit out a piece," said Welton. "With the oil extract, it's like the other mediations. You just give him a syringe [of medication], boom, you're done." Although treating cortical dysplasia with CBD has not been fully studied in humans, there have been studies with animals and experts say it may be worth exploring, especially for patients like the Weltons, desperate to help their son. Dr. Steven Wolf, director of pediatric epilepsy at Beth Israel Medical Center in New York, said that parents should be wary of using CBD to treat epilepsy pending the results of studies currently being conducted. Wolf said that doctors don't yet know if children would build up a quick tolerance to CBD or if it would ultimately prove ineffective in treating seizures. "I can say, if this was my kid and if there was a possibility it would work, I would certainly want to know," said Wolf. "This is interesting, but this needs investigation."